App is intuitive and easy to use. Website is very uncluttered and simple to navigate. Music is completely free to listen to. Advanced features are available if you want to pay for them. Supported by picture ads and audio commercials. Limits the number of songs you can skip over. Some features are only available if you upgrade. 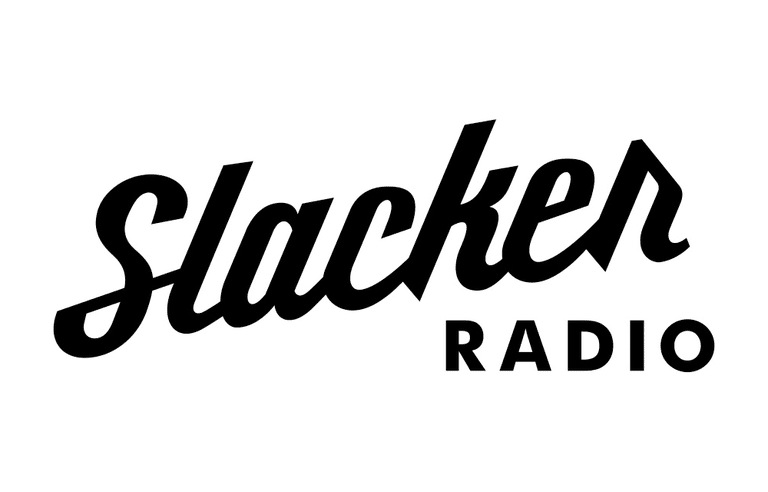 Slacker Radio is a website that lets you stream free online music. It's essentially a radio tailored to your music interests, and even has free apps that run on lots of different devices. Slacker works by having you create custom radio stations built around the songs and artists you like, where it will then mix in related content to deliver you the music you like as well as content it thinks you'll enjoy. Slacker can be downloaded for mobile devices, home electronics, and some internet-connected automobiles. Following the links from above will let you use Slacker Radio for free on iPhone, iPad, iPod touch, Amazon, Windows Phone, BlackBerry, and Nokia devices, as well as a web browser, Logitech UE Smart Radio, Roku, Chromecast, Sonos Wireless HiFi System, Sony Internet TV and Blu-Ray player, Xbox, and various internet-connected vehicles. Existing stations can be found in the Recommendations, New, and Top Stations & Specials, sections, and can quickly be added to your favorites so you can play them whenever you like. Custom stations can be built around certain songs, genres, and/or artists that you search for. When listening to as song, it's really easy to share that station or song with others and add that particular artist to a new, custom station. Slacker Radio recommends artists that you should mix in to your stations. Presets can be built so you can quickly access a particular station. You can view other stations featuring the artist you're currently listening to, plus related artists, albums, and songs. You can view a history of previously played songs. Explicit content can be turned on or off. Like or dislike a song so that Slacker Radio understands the type of music you like. The last station you listened to can be set to automatically start playing when you open Slacker Radio. You can fine tune your stations to favor playing more or less of any of the following: your favorites, related artists, popular songs, older/newer tracks. Slacker stations can be shared over Facebook, Google+, Twitter, and other social media websites, but you can also copy the link to the playlist and embed it on your own website. The mobile app shows music-related news and the desktop website lets you enable music news, headlines news, and sports news so that you can hear those headlines periodically on your stations. Building playlists, listening offline, replaying songs, viewing upcoming tracks, and other features can be obtained through a paid subscription to Slacker. Slacker Radio is very similar to other music streaming services that let you build custom radio stations, like Pandora and Spotify. However, where Slacker Radio stands out to me is how user-friendly it is compared to similar websites and apps. Although you can't pick the exact songs you want to listen to, building a custom station will likely run through your songs, eventually. Otherwise, it's a great way to find new music you may not have heard before, but are related to the songs you do like. One thing that bothers me about Slacker Radio is that some of the features you try to access will tell you that it's only available if pay for a membership. Also, as with any service that's free, you'll likely find advertisements and commercials, which is what you have with the Slacker Radio app. I find this acceptable, though, considering all the music is free. Plus, you can upgrade to a Premium or Plus membership to remove the ads if you wish.